Did you know that glass bottles and jars keep food healthy? And that recycling glass containers can help save the Earth? This 15-minute animation will reveal interesting facts and share the benefits of glass packaging. Sit back and enjoy the adventure, then visit the Fun Stuff page for more fun! 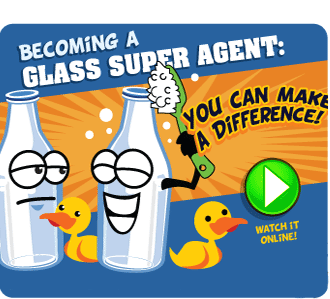 Becoming a Glass Super Agent: You Can Make a Difference! 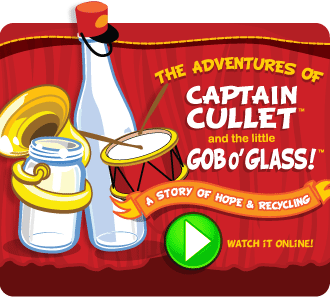 During this video, you’ll go on a tour through a glass manufacturing facility to learn how glass containers are made. You’ll be able to tell others about the importance of recycling glass bottles and jars, which makes you a certified Glass Super Agent! Visit the Fun Stuff page for your official badge and certificate!